More Hot Music On The Swing Shift on The AIR! 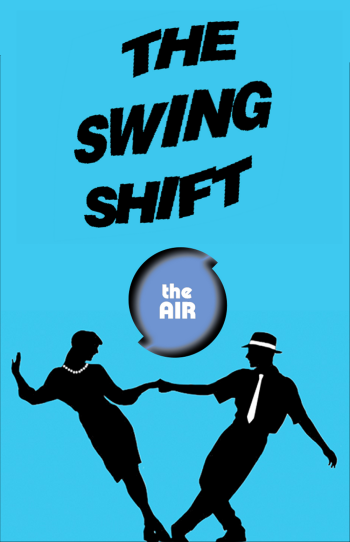 Continuing our mission to bring you the best Swing Music from the last 100 years, The Swing Shift blasts away another new hour of killer swing tunes, followed by a classic episode, Tuesday at 3 PM. Get ready for a mix of classic Big Band Swing, 1990’s Swing Revival bands, Electro Swing from Europe and brand-new Swing classics. You can hear The Swing Shift every Tuesday at 3 PM, Wednesday at 7 AM, Thursday at 7 PM, Saturday at 9 AM and if you just can get enough, tune in Thursday at Midnight for a marathon of classic episodes, all night long.